After our recent adventures with South West Trains it's over to our old friend Dirk in Kent for another of his "Episodes of the Kent Commuter......"
A lovely scene witnessed on yesterday's train when the ticket-inspector lurched into view. The man wedged in by the window pleaded to be excused proof of his validity, his ticket being stowed on the overhead rack in his jacket pocket. Our inspector obviously got a ratty whiff in his nostrils and calling his bluff asked which jacket that would be and would he like him to get it down for him. Unfortunately, on retrieving it from its folded position the SE Trains man let loose a shower of coins and a mobile handset which clunked down onto the head/lap of a dozing commuter who nonetheless remained oblivious. 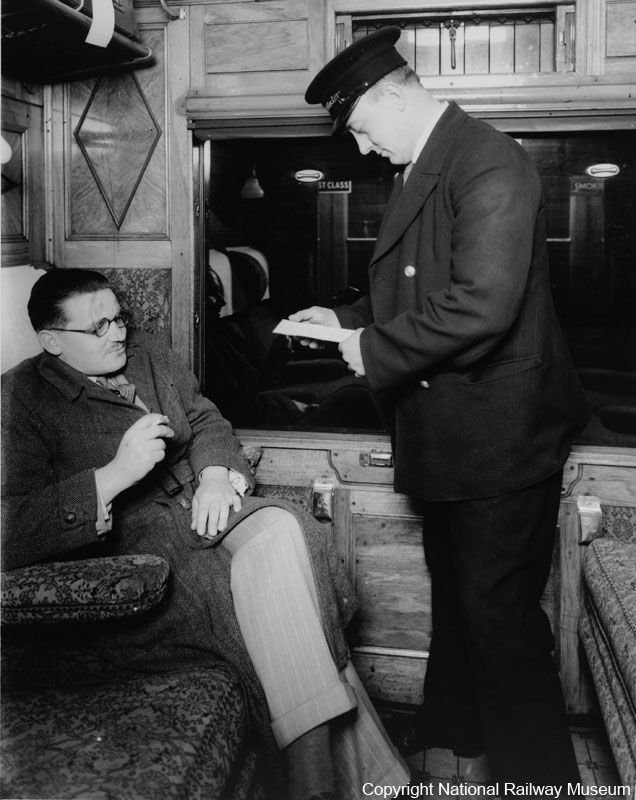 We then had the surreal situation whereupon the ticket's verification became a sideshow while the by-now ruffled ticket collector rummaged around in a stranger's groin trying to make good, and no doubt contemplating being charged with assault of one man and robbery of another in the course of trying to do his job properly. These weren't just pennies, they were £1 coins and their loss therefore not to be sniffed at, especially given where they'd vanished. Their combined worth might even have been enough to pay for the wretched ticket had it been required but our man proved to be an innocent season-ticket holder after all, though possibly a couple of quid poorer for his efforts to stay cool. That'll teach him to travel in shirt-sleeve order.